The five-judges Constitution bench of the hon’ble Supreme Court on 13th Mar, 2018 deferred the due date (31st Mar, 2018) for mandatory linkage of Aadhaar number with bank accounts and mobile numbers until the petitions challenging the Constitutional validity of Aadhaar ( Targeted Delivery of Financial and Other Subsidies, Benefits and Services) Act, 2016 are disposed. Be that as it may, the augmentation doesn’t matter to availing services and subsidies as per section 7 of the Act. The order was passed at the end of the hearing on Aadhaar case by the Constitution bench encompassing Chief Justice Dipak Misra,and Justices A.K. Sikri, A.M. Khanwilkar, D.Y. Chandrachud and Ashok Bhushan. 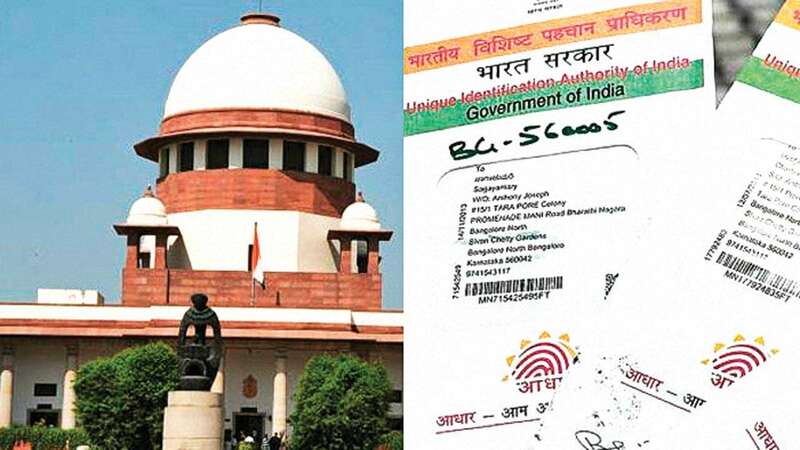 The exemption was made after senior advocate Arvind Datar complained that the government had amended passport rules in breach of the court directive not to make Aadhaar mandatory. He demonstrated the court his associate Vrinda Grover’s passport, which was crossed out in light of the fact that she declined to part with her Aadhaar details. Several apprehensions were levied regarding the mandate of Aadhar for the issue of ‘Tatkal’ passports, referring to the interim orders of the apex court, the recent one dated 15th Dec,2017. Senior Counsel Arvind Datar requested the bench to consider the extension of the March 31st, 2018 deadline for compulsory Aadhar linkage with mobile phones, bank accounts and other services. Attorney General K. K. Venugopal also emphasized upon the mandate of Aadhaar (speedy issue under the ‘Tatkal’ scheme), stating that rest other ID proofs were also equally acceptable for the issuance of passports. He also requested that any extension of deadline may not affect the ‘Subsidies, Benefits and Services’ under section 7 of the Aadhaar Act. Chief Justice Dipak Misra remarked that as per the interim order, the deadline had been extended for all services and facilities, including the issuance of passports. The Supreme Court extended on Tuesday the March 31 deadline indefintely to link Aadhaar with various government services, bank accounts, Permanent Account Numbers for filing tax returns and even mobile phone connections indefinitely until after it delivers a final verdict on petitions questioning the validity of the unique identification number. Extension of the deadline offers relief to consumers bombarded by messages from service providers including banks and mobile phone companies asking them to link their accounts to Aadhaar before the deadline. In December last year, the top court extended until March 31, the December 31, 2017 deadline for mandatorily linking various services with their Aadhaar number, which has become the bedrock of government welfare programmes, the tax administration network and online financial transactions. The bench is currently hearing petitioners who have questioned the validity of Aadhaar and subsequent rules making the number mandatory for such services. The government will respond after the petitioners present their case.